The “novel H1N1 Flu” (aka “swine flu’) is a new strain of H1N1 virus that is affecting communities all over the world, thus, it is labeled as a ‘pandemic’. That label does not mean it is particularly dangerous or threatening, as was once feared. On the contrary, H1N1 is a bit on the wimpy side so far. (That doesn’t mean it will stay that way, but for the time being…). I was listening to a physician-vaccine expert on NPR this morning and he was referring to all important public health measures for flu prevention, but neglected to mention anything related to nutrition or herbal supports in our arsenal against flu, both in terms of prevention and treatment. First of all, it is worth noting that unlike colds, considered in Traditional Chinese Medicine to be energetically cold in origin and thus requiring ‘warming’ treatments and herbs such as the use of diaphoretics to increase sweating (elder flower, ginger) and the use of sweating therapy to help our bodies fight viruses, flus are considered in TCM to be energetically hot. This is significant in that we would thus not use diaphoretics, but other potent anti-virals that will help reduce fevers, lessen severity and shorten severity. Herbal treatments in this camp would include boneset, a potent anti-viral; echinacea, an immune stimulant; and herbs used in Chinese medicine in flu-fighting formulas, such as forsythia, honeysuckle, and red clover. Astragalus is often mentioned as an immune booster, and it certainly is, but we use astragalus for preventative means and not for treatment of acute infection. In addition, there was an intriguing comment on a previous post about the use of medicinal mushrooms being contraindicated with the treatment of flu because of the possibility of some strains of flus causing excess immune response in the form of ‘cytokine storms’. Master herbalist Michael Tierra, clinical herbalist, educator, and a founder of the American Herbalists’ Guild (AHG), recently addressed this possible misconception in a seminar about the use of herbs to treat H1N1. It appears that cytokine storms, or the theory of an overly strong immune response of some healthy adults, is not so much to blame in flu-related deaths, but rather, bacterial co-infection. Indeed, cytokine storms may not really be responsible at all. And just today there were reports that one third of H1N1 deaths to date were not a result of the flu itself but of bacterial co-infection. For this reason, I am not convinced that medicinal mushrooms such as shiitake, reishi, and maitake should be put aside in the therapeutic treatment of flu– and at the very least, they certainly offer immune-boosting potential. You might check out a lovely recipe posted by the latest Herb Companion issue that utilizes shiitake, astragalus, and garlic in an immune-boosting winter soup. 1. Follow public health measures: wash your hands, cough into your inner elbow, and use anti-bacterial hand sanitizer in public places whenever necessary. Whether or not to get the vaccine is up to you. That said, vaccine manufacturers don’t claim that the vaccine will actually prevent flu, per se, but will just shortens the flu’s duration by 1/2-2 days and may decrease severity. Make an informed choice and it will be the right choice for you. 2. Get some REST: Putting America’s obsession with business aside is a tough task for most, but realize that the less sleep and relaxation you get, the more vulnerable you’ll be! If you actually do get the flu, make sure you rest and don’t try to work through it. You’ll only end up more sick and vulnerable to nasty bacterial co-infections. 3. Plan to Stay at Home if you do get flu. Check out resources for sheltering-in-place and have some herbal and nutritional supplies stocked up ahead of time (maybe some extra soup frozen, some herbal syrups made, some tinctures all tinctured up, some herbal blends made both for tea and facial steams). Vitamin C is better as a flu preventative than a treatment, but raw garlic is a powerful anti-viral remedy to take as soon as symptoms start to appear. Check out some earlier posts about such herbal remedies and recipes. 4. Take Astragalus syrups, formulas, soups, or capsules as a preventative measure. Along with immune-boosting soups, stews (both of which you can add astragalus root to), take astragalus or Jade Windscreen (TCM formula containing Astragalus) to help prevent the onset of flu. Stop taking if acute infection shows up. Tierra’s Planetary Herbalsmakes an alcohol-free glycerite of the Jade Windscreen for children. 5. Fight Flu with Nutrition and Herbs: Use non-diaphoretic, immune boosting, anti-viral herbs to shorten the duration and decrease severity of flu symptoms, as mentioned above. 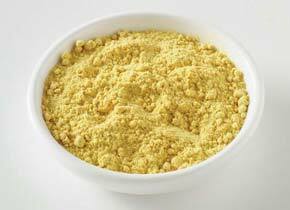 Eat therapeutic foods such as kicharee, soupy grains, and easy to digest foods. Raw foods, particularly vegetables, are eliminating and difficult to digest, and thus are not recommended to fight flu. Tierra believes that fruit juices have the wrong energy for fighting flu, and thus recommends warm stocks and broths, kicharee and herbal teas and decoctions. Miso soup with onion and garlic (added at the end) is another great choice, as the miso provides assistance with digestion and keeps gut flora up to snuff. Yes, we are smack dab in the middle of cold and flu season and for those of us with toddlers in day care (a-hem), herbal remedies seem to be a constant part of life in the wintertime! You actually never need to touch the chemical laden and possibly detrimental cold & flu symptomatic remedies on the counters of your local pharmacy. Instead, turn to the natural gifts of nature, for far more effective, immune-building resistance and treatment. Astragalus root is a chinese herb that has been long used as an immune tonic. Michael Tierra recommends making an herbal syrup from astragalus for those with compromised immune systems, but I often just add astragalus regularly to decoctions or even to soup stocks for an added immune boost! Astragalus is not an herb to use once a cold has already set in. Adaptogens are a wonderful gift to us and are used in many cultures as tonics for longevity and resilience throughout life. They help to balance our systems and create better resistance to stress, including stress-induced colds and flus. Regular use of an adaptogen is recommended for anyone living in our stressful, postmodern, multi-tasking world! Examples of adaptogens include Siberian Ginseng (Eleuthero), Asian Ginseng, Ashwaghanda, and Rhodiola Root. You should consult with an herbalist or herbally-savy naturopath to assess which adaptogen is best for you. That said, Siberian Ginseng seems a good all-around adaptogen that is often used as an energy tonic for athletes. Echinacea is still the superior choice in cold and flu treatment. There have been studies suggesting a lack of effectiveness, but the dosages and herb formulations in those clinical studies were not therapeutic, more often than not. I still swear by the stuff! As with many (if not most) herbs, echinacea’s clinical power is not isolated to one ingredient, but rather, its whole chemical make-up contributes to its immune-boosting power. The action of this wonderful herb is quite different from allopathic antibiotics and even other antibiotic herbs such as Golden Seal. Echinacea actually vitalizes the immune system rather than attacking the virus directly, and thus assists the lymph, adrenal and thymus glands in their immune activity. It is also a fine fever herb and does not interfere with the needed (slight) elevation in temperature, as bacteria and viruses cannot survive above 100 degrees, but keeps the fever low enough to prevent convulsions (Susun Weed, Wise Woman Herbal for the Childbearing Year, 1986). Echinacea does appear to have some preventative power, especially when used in the early stages (you feel that throat tickle, perhaps, or you’re starting to feel run down), but it also shortens the length of a cold and lessens the severity. Echinacea is better taken in tincture than capsule form, but I also like to make a strong herbal syrup from a decoction of echinacea, chapparal, ginger, and thyme to really pack a punch to that mean old cold. I’ll post DIY instructions for making an herbal syrup at some stage soon. The important thing is taking ENOUGH of the stuff. Most people under-dose. At the first signs of a cold, you may need to take a dropperful of the tincture four to six times a day. This is equivelant to 1-2g dried root per day. Take up to nine 300-400mg capsules per day. If you are taking the tincture, you should have a transitory numbing, tingly sort of feeling on your tongue. For babies and children, put 10 drops of echinacea in a four oz. bottle/cup of water or juice. Allow your child to drink as desired and this will help keep a fever in bounds. Even the newest of newborn babies old will benefit from the breastmilk from a breastfeeding mother taking echinacea infusions or tincture. Garlic and Onions are potent anti-virals in an of themselves. Fresh garlic is much more potent than cooked or roasted garlic and one way to get around popping a whole clove in your mouth is to dice up a few cloves, add to olive oil and dip bread in the oil & garlic. You might even add a dash of cider vinegar for good measure! It’s yummy AND it’ll treat that cold. In addition, the old adage about chicken soup seems to be linked more to the onions and garlic simmered in that warm vegetable or chicken stock than to the chicken itself. Not only are the onions and garlic antiviral, but viruses don’t survive at hot temperatures and drinking hot broths, soups, and teas can really inhibit viral replication, along with keeping you well hydrated. I’ve also heard of wise women making strong garlic teas from fresh cloves. One half cup of this stuff and you could really knock that cold back a couple steps, or if taken early on, might deter it completely. Ginger and Lemon infusions should not be understated as a helpful treatment strategy. Not only is the hot liquid good to take in, but ginger is warming and can help heat the body up, helping you to ‘sweat it out’. Herbalist Michael Tierra recommends taking the hot ginger tea (fresh or dry ginger root infused for at least ten minutes) after a hot bath and then piling on the blankets. Heating up the body temperature helps prevent viral replication and can really do a number on the little suckers. That’s why our immune response is often to have a fever! Viruses simply cannot survive in body temps over 101 degrees. You need only get concerned when your temp gets to 102 or higher or that they persist for more than a couple of days. Lemon is very rich in infection-fighting vitamin C and is also a fever cooler when the temp rises. Elder Berry and Flower : Elder, herbalist Susun Weed tells us, seems to help the body regulate temperature, and when those lovely white blossoms are tinctured, can provide a superior remedy for treating infants’ tinctures, as well as our own. It reduces frighteningly high fevers without fail and doesn’t have the detrimental effect on kidneys and livers as commercial fever-reducers (advil, tylenol) do. Put one drop per pound of body weight under the tongue (for infants and adults alike) and thoe dose can be repeated as often as needed. It is completely harmless. The fever usually begins to decrease within a few hours of the first dose. (Elder can also be administered by dropper while breastfeeding). RECIPES for therapeutic foods & herbal infusions to follow in Part II! Ah! One of my dear etsy customers just commented on her use of my herbal facial steams during a recent sinus infection. What a wonderful way to use the healing powers of herbs! 1 drop of eucalyptus essential oil (optional) or 1 tsp dried eucalyptus leaves. Place the herbs in a small saucepan of water, bring to a boil and then simmer for a 10 minutes, with the pot covered. Take the pot off the heat and add the essential oils. Drape a towel over your head and place your face over the steam, breathing in deeply and moving your head from side to side. Take a break if it gets to be too much. But keep placing your head over the pot for at least 10 minutes total, blowing into the water a little when it starts to cool down in order to direct the steam into your nasal passages. Breathe! Thyme is a wonderful, handy herb that is also antimicrobial. I regularly drink thyme tea when I am sick or just during the winter to keep my immune system primed. Comfrey root is a healing herb that is also demulcent, so it is soothing to the mucus membranes and other body linings. Sage is astringent, which is often much needed during head colds. Eucalyptus e.o. helps open the nasal passages. I say “one drop” and yes, you could put two drops, but don’t over do it! Essential oils are very powerful, especially in a bowl of hot steaming water. By the way, this would also be a good steam for acne because of its antiseptic strength and astringency (except for maybe the eucalyptus). Don’t forget the ginger & lemon tea for that head cold!